You cannot believe some of the studies and reports EiD has that have centimetres of dust on them. From time to time EiD will resurrect some of these to show what has been said or written in the past that might – just might – give us some clues and help future analysis, policy making and implementation. There is a wealth of knowledge buried in the closet. 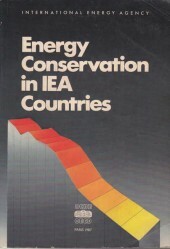 This study was published by the IEA in 1987 when Ronald Reagan and Margaret Thatcher were condemning interventionist policies such as those for energy efficiency. It was the first international evaluation of all categories of energy conservation programmes. 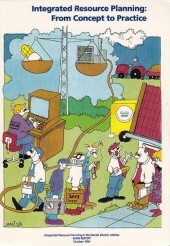 Even the Swedes, at a meeting in Stockholm, called this book the bible of energy conservation. Sweden did not only think the abovementioned IEA book was the bible. 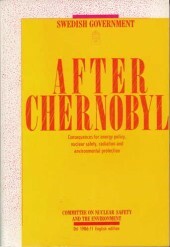 In late 1986 (in Swedish) and 1987 (in English) the Swedish Committee on Nuclear Safety and the Environment came out with a book entitled After Chernobyl that was to transform energy policy for a long time. Sweden had been seriously affected by the Chernobyl disaster. As the sub-title states, this was about the consequences for energy policy, nuclear safety, radiation and environmental protection. 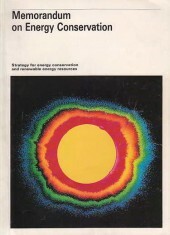 In 1990, the Dutch Government published what was probably the first strategy on energy conservation (including renewable energy) in OECD countries that directly linked energy conservation policy with climate change. At that point, climate change was hardly known. Yet the report states: “Due to the strongly developing environmental awareness, it has now been decided to give a stronger impulse to energy conservation and renewable energy resources. . . . On the basis of new insights into the CO2 problems . . .” These words were breaking new ground in OECD countries. 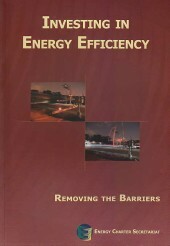 Many reports document or discuss barriers to achieving the cost-effective potential for energy efficiency. This 1982 Canadian study actually surveyed many companies. They considered the specific industrial sector (e.g. food processing), the geographical location, the plant size, annual operating hours, electrical energy use, furnace oil use and bunker oil use. They gave a weighted score for “what do you consider to be the biggest problems regarding implementation of an energy conservation project?” The results were:Lack of capital (243 weighted score); lack of technical information (78); lack of management support (63); lack of in-house expertise (51); energy costs too low to be a stimulus (46); lack of time for in-house expertise (27); government regulations (23); inefficient equipment (9); other (89).Sound familiar? The Swedish electric utility, Vattenfall, had an important project to obtain better knowledge of providing services to improve the efficiency of electricity use. The project was market oriented with the objective of investigating the various ways electricity could be saved. This report from 1992 summarises the final results. The project was divided into: from ideas to investment, from shops to schools, from houses to habits, and the price and marketing experiment. For those looking at utility programmes today, it is well worth reviewing this project. 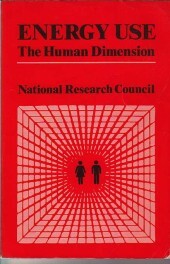 This 1984 book by the National Research Council in the United States firmly put the human side of energy into the equation. It considers the four views of energy: as a commodity, as an ecological resource, as a social necessity and as strategic material. It considers the human side throughout, even cautioning that energy efficiency programmes can achieve less than expected because of the human dimension. As consideration is given to binding targets, this could provide a word of caution. This book was very influential throughout the 1980s and still deserves a read. 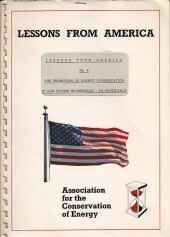 This report from 1987 on the Promotion of Energy Conservation in Low Income Households – US Experience was one of a series of “lessons from America” written by Ian Brown for the UK’s Association for the Conservation of Energy. 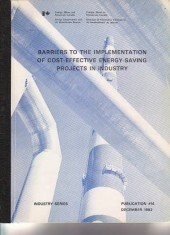 This series was quite influential in re-aligning many of Europe’s energy efficiency programmes because, at the time, much of the innovative work on energy efficiency was happening in the US. 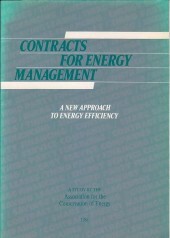 One of the other “lessons” concerned energy performance contracting, which was expanding rapidly in the US. 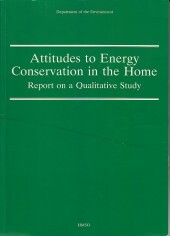 This 1988 report also by Ian Brown of the Association for the Conservation of Energy was important for strengthening the argument in Europe and in all IEA countries for energy performance contracting. Having already provided considerable information on the US in previous reports such as above, this publication had case studies on Australia, Austria, Japan, New Zealand, Sweden and Switzerland. Within five years of its publication, the EU had its first Directive that contained a requirement for member states to remove the barriers to energy performance contracting in the public sector. This report had much to do with changing the views of the time. The same year the Dutch government came out with its Memorandum on Energy Conservation, the Danish government came out with Energy 2000, which was its plan of action for sustainable development — a full two years before the 1992 Rio conference on sustainable development. 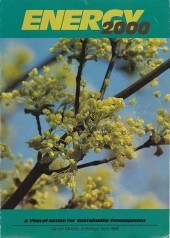 This followed an action plan on environment and development from 1988. The report mentions CO2 emissions but its basic tenet “is that now is the time to launch a long-term policy aiming at drastically reducing the damage on the environment by the energy sector.” Alas, in 2012 Europe is using basically the same wording. No one said it would be easy. But today, we are still seeing the Danish government taking the lead. Maybe others need to read their reports more carefully. The Energy Charter Secretariat, the International Energy Agency and the Danish government collaborated on a major study, published in 1998, for the Aarhus Environment for Europe Ministerial under the auspices of the UN, held June 23-25 that year. The Danish government was determined to have energy efficiency play a key role in the Ministerial, and considered this study an important step in the follow-up to Kyoto. 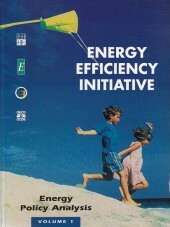 Rod Janssen, editor of EiD, was a member of the study team and can vouch for the importance of this report in two volumes outlining the policy analysis related to energy efficiency and taking a snapshot of the 50 participating countries in how they were succeeding in promoting energy efficiency. 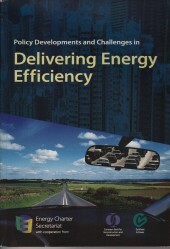 It is still an important reference book on energy efficiency concepts, the role of energy indicators, the drivers of energy use and much more. 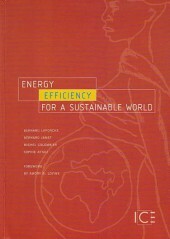 This 1997 book by Bernard Laponche, Bernard Jamet, Michel Colombier and Sophie Attali, woke up many people to the methods, the experiences and the concepts which make it possible to implement energy efficiency policies in ALL economic and social activities. The foreword was by Amory Lovins who said that “This book could not be more timely nor more important. Most of the world’s energy continues to be wasted by inefficient devices and practices that simply turn resources into pollution, incurring staggering costs at both ends.” Lovins goes on that the Laponche team emphasises “the answer is rather to start by asking what we want all that electricity “for”, and what’s the cheapest way to do those jobs.” Fifteen years later, the lessons from the book still resonate. The book was originally written in French and both versions rest in the EiD closet. 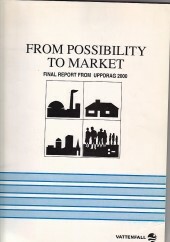 This 2000 report for DG Energy and Transport (now just DG Energy) and Eurelectric, comprises seven case studies from France, Germany, Italy, the Netherlands, Portugal, Sweden and the United Kingdom. Edited by the late John Chesshire, the report examines the prospects for the emergence of active energy services, primarily forsmaller (domestic and service sector) electricity consumers in the EU. With this being a hot topic in the proposed Energy Efficiency Directive going through the approval process, it is well worth reviewing what was the state of play 12 years ago. 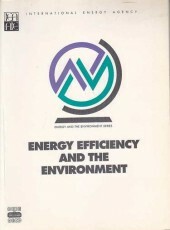 This 1984 study by the IEA was the IEA’s first analytical report on energy efficiency. Understandably, oil consumption was of paramount importance after the two oil crises and the transport sector had significant potential for savings. This study analysed the three test procedures that were used in IEA countries (the US, Japan and Europe). Progress had been made in even having test procedures. But it was impossible to compare the results from the three tests. This study developed a correction factor to help. 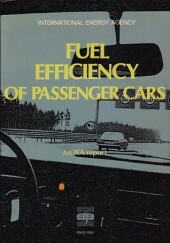 And the study led to the IEA’s Governing Board adopting decisions to further work in the transport sector. Alas, not much happened after the report was published, especially after 1986 when oil prices fell and the US government stalled on making its CAFE standards more ambitious. But the report was a landmark analysis. 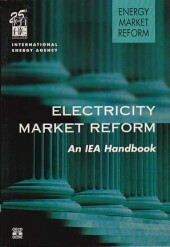 This 1999 IEA report is an excellent reference book for those following electricity market reform in Europe and beyond. It takes an historical perspective, going back to the 1870s to see how the sector has evolved and it discusses key regulatory reform issues. It has an important section on aspects dealing with the environment, including energy efficiency, tradable emissions permits, energy subsidies and taxes and fees It also has a section on transition issues related to stranded costs, social costs and the sequencing of reforms. This IEA report published in 2000 was an important one to show the shift from R&D to measures to bring the technologies to the market. The report was written by Professor Clas-Otto Wene of Sweden. Experience curves demonstrate that investment in the deployment of emerging technologies could drive prices down so as to provide a new competitive energy system for CO2 stabilisation. Knowledge of the “experience effect” can help in the design of efficient programmes for deploying of environment-friendly technologies. The effect must be taken into account when estimating the future costs of achieving targets. This report is well worth dusting off and reading. This report published in April 2000 by the Association for the Conservation of Energy in collaboration with researchers in nine EU countries was the last comprehensive analysis of the job impact of energy efficiency programmes. The study was funded by the European Commission. It is well worth reviewing. It is about time another major study is undertaken, since the co-benefits of energy efficiency are widely discussed and, yet, need to be further understood. This 2004 publication from the Energy Charter Secretariat identifies various types of barriers for making energy efficiency investments, be they of legal, administrative, institutional or financial in nature, mainly in buildings, district heating and lighting. The role of various bodies and organisations for the facilitation of energy efficiency investments is analysed, from public authorities and regulators through to banks and international financing institutions. With all the current discussion on financial instruments, it is well worth reading this. This is one report that had lots of dust on it in the closet – unfortunately. In 1991 the British government published this study that sampled 103 people from 94 households, divided into 26 interview sessions. It was slanted towards larger properties and higher income families. Energy audits were undertaken on 12 of the houses. A group of six energy experts were also consulted. It reads as if it were undertaken now. The barriers identified are the same. The attitudes are not much different. Interestingly most people are not aware that there is any other interest at stake other than their own cost and comfort, or general avoidance of waste. Many do not try to limit or even reduce energy consumption. All felt they lack information about energy efficiency. In practice many seek it out. There are many more conclusions from the report. Amazingly, this was written 21 years ago. It questions the effectiveness of initiatives underway. 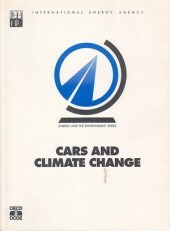 This 1993 publication by the IEA was in reaction to a 1991 IEA energy ministers meeting that focused on the concern of continued growth of oil demand in the transport sector as well as the growing environmental concerns over climate change. The publication does not provide solutions but confined itself to demonstrating methodologies whereby measures could be systematically assessed and compared. It addressed itself to a single problem: greenhouse gas emissions. The foreword stated that the life-cycle analysis methodology used in the report could be applied to other environmental problems and other solutions. This report by Ulrich Bartsch and Benito Müller from the Oxford Institute for Energy Studies in 2000 discusses fossil fuels in terms of the impacts of the Kyoto Protocol and Developing Country Participation. 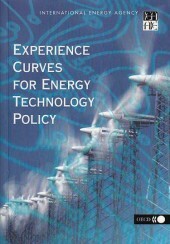 Using model-based projections for the period 1995-2020, the book looks in detail at effects of climate policies on fossil fuel markets, with special emphasis on the oil market. The results show that the policies chosen to implement the Kyoto and subsequent agreements can lead to substantial differences in terms of global emission reductions, economic costs, and impacts on the fossil fuel markets. This report was prepared not long after the Kyoto Protocol commitment and it is well worth reviewing to see how its projections and conclusions stand up. No one has analysed the electricity system more thoroughly than Walt Patterson, currently Associate Fellow at Chatham House. 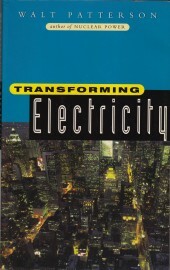 This 1999 study described the dramatic upheaval sweeping at the time globally in the world of electricity. Someone argue that upheaval has not ended yet. This book is still as relevant as it was when it was published. Walt has a website that you should visit and Transforming Electricity is available to download in Chinese. It is still in print in English. It also appeared in Polish and Romanian. However, he has also recently written a working paper entitled Beyond the Fire Age that is a must read. Walt’s book on Nuclear Power, first published in 1976 and last reprinted with a postscript in 1986, is still being downloaded more than 2000 times a month. This must be a record for any book on energy. 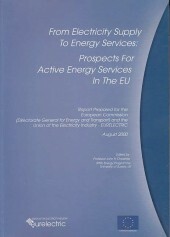 This publication was prepared by the Energy Charter for the 2007 Belgrade Ministerial Conference of the UN Economic Commission for Europe ‘Environment for Europe’ process. The report presented evidence from more than 50 countries on the challenge how to deliver real, tangible improvements in energy efficiency. It is a complex task but the report demonstrates that delivering energy efficiency is possible. While prepared for the 2007 Ministerial it is more than a snapshot of that period and still is relevant today. 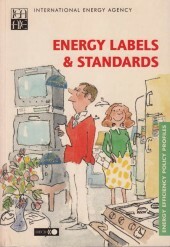 Published in 2000 by the IEA, Energy Labels & Standards was an early international analysis of the use of energy labels and standards in OECD countries. This study analysed existing programmes, provided guidance for programmes that were under consideration at that point in time and showed how international collaboration could be beneficial. Importantly, it expressed the key elements of successful programmes. 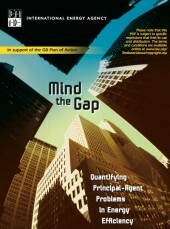 This 2007 book by the IEA provides a detailed analysis of one of the major market barriers: principal agent problems – the ‘landlord-tenant’ problem. It is the first time any study has attempted to estimate the size of the principal-agent problems. The IEA used 8 case studies from 5 OECD countries across 3 sectors. In many of these contexts they identified that principal agent problems affect a significant proportion of end-use energy. The 8 case studies reveal that over 3 800 PJ/year of energy use is affected by such barriers – that is around 85% of the annual energy use of Spain. For those interested in addressing split incentives in Article 19 of the EU’s Energy Efficiency Directive, this is a must read. Hi friendI I spotted your blog site on Bing the other day and I am extremely delighted that I did! I genuinely appreciate your blogging style and information which you present. Cheers friend for Cleaning Out My Closet « Energy in Demand – Sustainable Energy …, a great blog post!